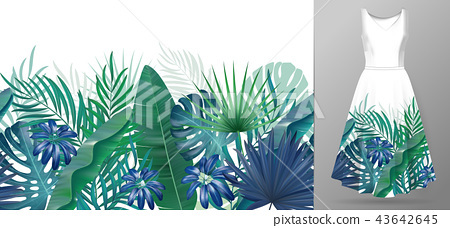 Hand drawn realistic branches and leaves of tropical plants. Vivid line horizontal leaves pattern. Green blue seamless border on dress mockup.